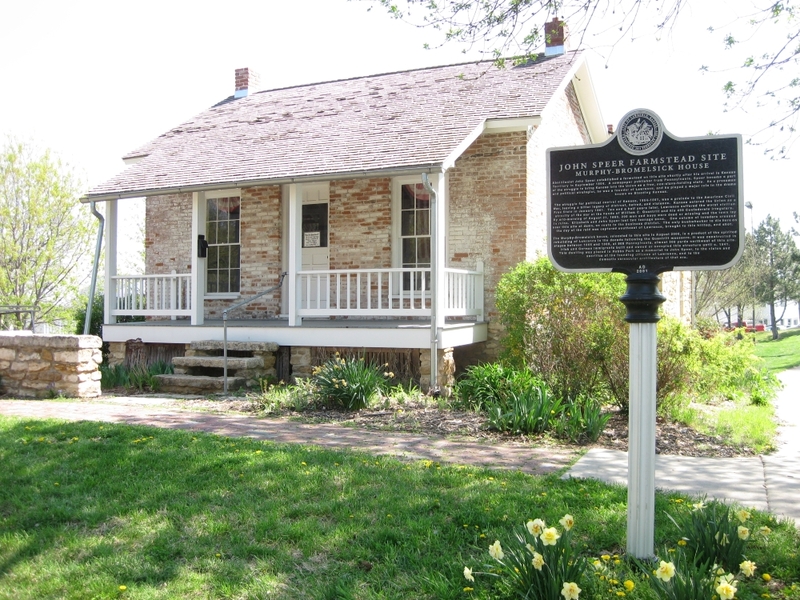 Although the building was destroyed during the raid, there is a historical marker at the location of John Speer’s farm. John Speer Farmstead historical marker. 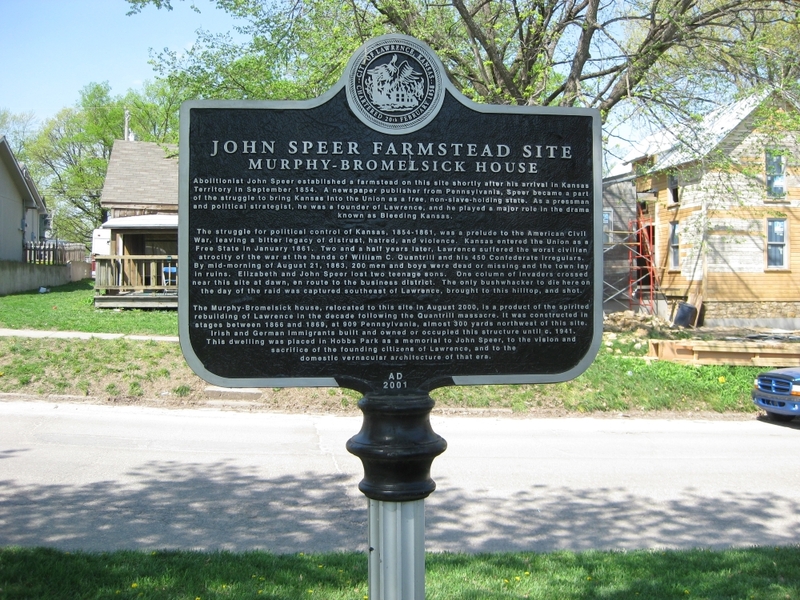 Murphy-Bromelsick House and John Speer Farmstead historical marker. A detailed map of Lawrence showing location of the John Speer Farmstead tour stop. Click on thumbnail to load high resolution version of the map.